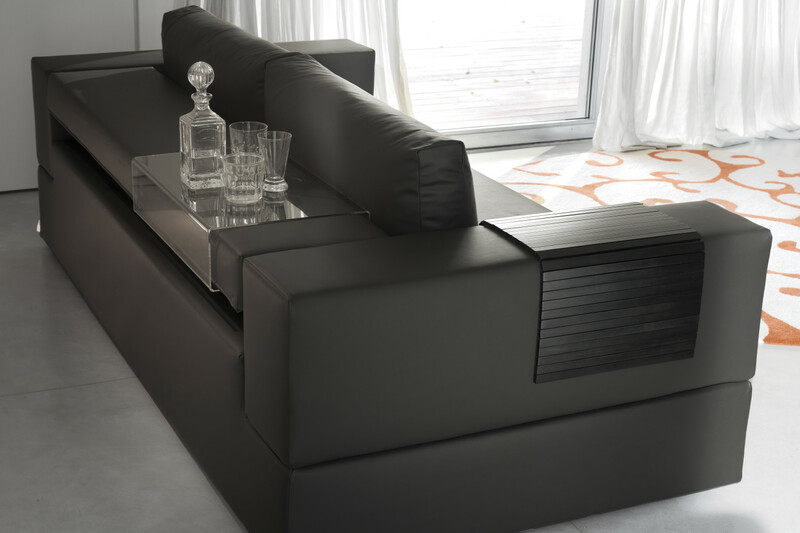 Jaco is a modern sofa with backrest shelf, available as 2 or 3-seater with a one-piece seat cushion. With cover in leather, eco-leather and fabric. 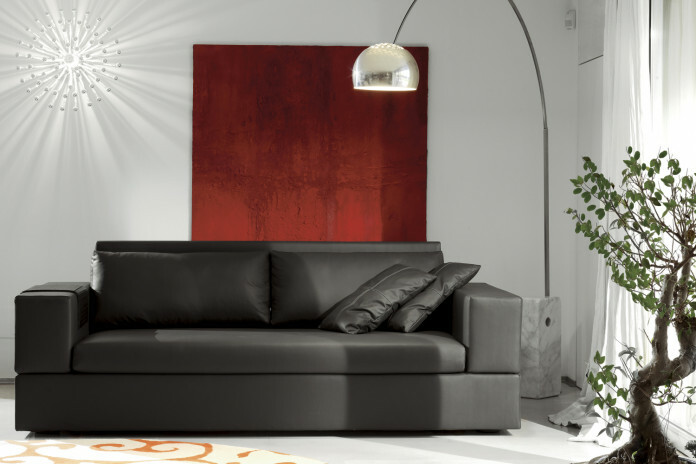 Jaco is an elegant sofa with backrest shelf available as 2 or 3-seater. It is characterised by a one-piece seat cushion and thick square armrests. Jaco stands out thanks to its unique backrest: it can be turned onwards becoming a useful shelf, and providing every time a different depth. 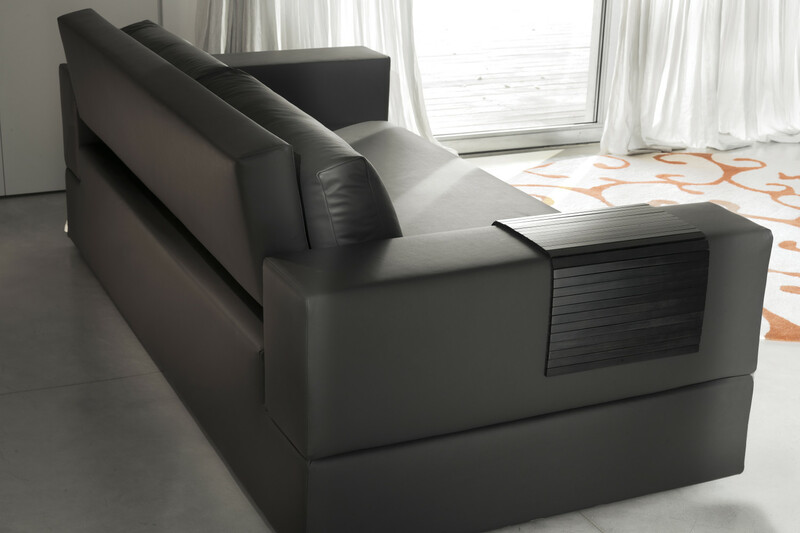 The cover is manufactured with a particular technique and does not have visible seams; it envelops seat, armrests and backrest in a uniform way, outlining the straight essential shape of this sofa bed with thick cushions. Available in four models with different dimensions, Jaco is can be chosen in several colours with leather, eco-leather or fabric cover. 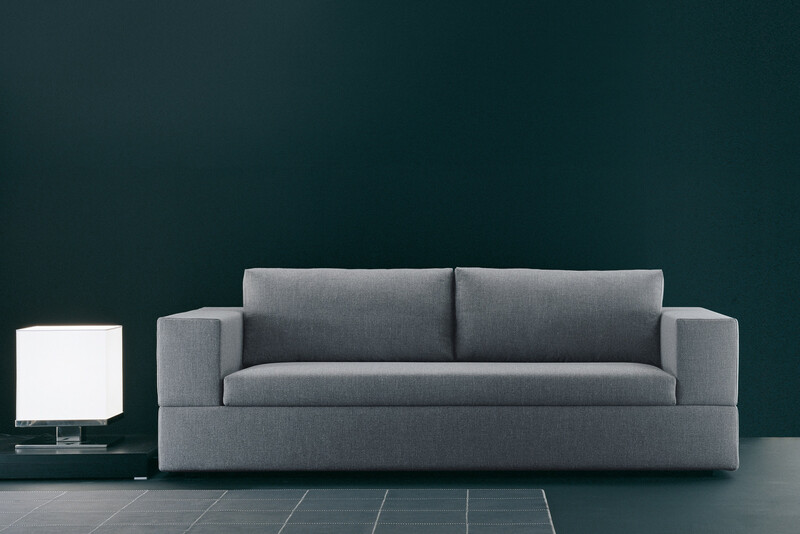 Due to its refined lines and fine covers, Jaco is the perfect sofa for both formal and informal environments, modern, young and casual sitting rooms. The sofa is available in fabric, eco-leather and leather in several colours displayed in the samples page. Jaco cover is completely removable. The cover has a smooth look, without stitching or seams. In order to obtain this effect the cover is cross cut. Striped or floral fabrics are instead cut in a regular way, and so the sofa will have central seam on its seat, front panel and rear panel. 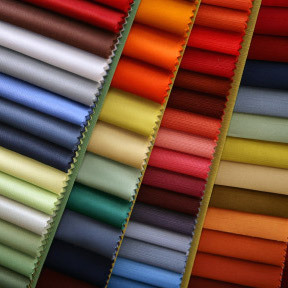 To maintain the original design, we recommend to choose solid colours. Backrest: fir solid wood, poplar plywood. Rear base: solid fir wood, poplar plywood, particle wood. Armrests: solid fir wood and poplar plywood. Front panel: particle wood and poplar plywood. Seat: 40 + 35 Kg/m³ expanded polyurethane, covered with 280 g/m² VRE Tecnoform + mm. 2,5 quilted interliner. Backrest Cushions: 70% feather and 30% PL flock padding, cover in 100% CO fabric designed to contain feathers. Armrests and Structure: T 40 kg/m³ P + T 40 kg/m³ N expanded polyurethane, covered with interliner combined with 100 g/m² resin fibre.